This book is a catalogue of a Lynchburg, Virginia families’ private art collection. 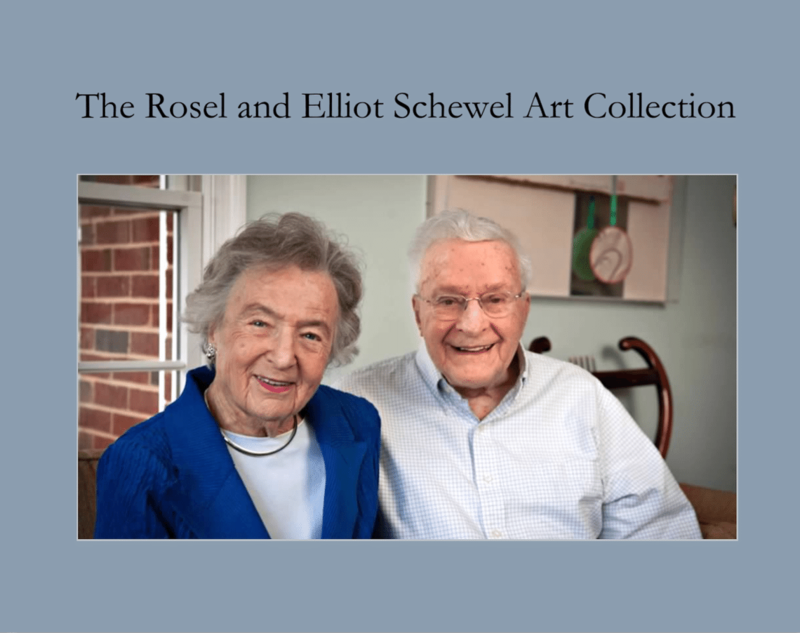 The dates of the artwork in the Rosel and Elliot Schewel art collection range from 1892 to 2016. Various mediums are included and the collection marks the Schewel’s dedication to the arts. Author: Caroline F. Wilson, Ed. D.
Caroline F. Wilson, Ed. D. is an art historian and art educator. Her previous research topics include the artist Judy Chicago, S.T.E.M. integration with the arts in school curriculum, and how public education funding affects school facilities.